A wind turbine in Arlington, Oregon. Note: The peaks and valleys show seasonal changes; winds blow weakest in the summer. America’s rising wind power feels unstoppable. That’s because in many areas of the country wind has reached an important tipping point: becoming cheaper than coal and natural gas. In fact, states getting the most electricity from wind include gas-rich Texas, Oklahoma and Colorado. In the U.S., competition between wind and gas is fierce. New techniques known as fracking (or hydraulic fracturing for the timid) have overhauled the U.S. energy economy and brought America some of the cheapest natural gas prices in the world. In order to compete, U.S. wind relied on a tax credit, which expired at the end of last year. Don’t miss the BNEF Future of Energy Summit, April 7-9 in NYC. Even without the subsidy, wind prices are getting cheaper as the technology improves. The cost of wind energy has declined by 43 percent over the last four years. There’s a backlog of projects that already qualified for the tax credit that will ensure a steady pace of turbine growth for the next few years, according to BNEF wind analyst Amy Grace. The future of the wind tax credit is contentious and uncertain, but so is America’s cheap gas prices. As expensive coal plants are retired, utilities are switching to cheaper natural gas, driving up the price, says Grace. Also, the U.S. Energy Department is opening up domestic gas for exports for the first time. By 2020, U.S. shale gas may account for 20 percent of the global market, according to a Citigroup estimate. If Americans have to buy gas anywhere near international market prices, wind wins. Gas may be booming, but you can expect many more wind records to come. This is excellent news. Hopefully Australia won’t be left behind in the move to solar and wind technologies. Maybe you lot need to put things in to perspective. Pro wind cherry picking at it’s best! Move to current wind technologies and Australia will be left behind. Keep dreaming TCW. It’s all you’ve got. And that reply my friend, is about the depth of the intelligence of the pro wind lobby. It would be nice if you could be civil instead of snarky. You continue to regurgitate mythology even though you have admitted you don’t live anywhere near a farm. On the other hand, I have lived near a wind farm for 10 years so I know your claims are simply wrong. You continue to make ridiculous assertions based on absolutely no evidence, certainly no personal experience. Meanwhile those of us who do have experience of life near windfarms know how inane your commentary is. The amazing thing is that you choose not to know the facts and seem happy to make yourself look foolish. I can’t help but wonder why. Civil, since when do you give civil replies, you bring yourself undone before you even start. You may live near a wind farm, but you are completely oblivious to what is happening around the world, you are either completely naive, just plain stupid, or totally pig ignorant. The above poster put up an article from Bloomberg and you praise it’s contents, I put up an article from Bloomberg and you say I am making ridiculous assertions. Blair old son, you are a bundle of contradictions, you need to take the blinkers off and have a good look around, you are the only one left peddling your rubbish, well, silly old Dave Clarke is, but no one is listening to him or you, anymore. Wind power in it’s present form, will never take over from coal and gas, get used to it. It’s obvious you don’t read very much, especially information from sources such as the International energy agency among many others. You just speak with your carefully selected propaganda and ignore the inconvenient stuff. Why should I or anybody else believe anything you say when you don’t live near a farm yet approximately 7000 people live within a few kilometres of the two windfarms in this area without any problems at all? Development of renewables is going on all around the world. Not that you want to know. You don’t believe science, you think AGW is fiction. You think anybody who disagrees with you is uninformed when the reverse is the case. Wind energy in its present form is already responsible for closing down a number of coal-fired power stations across the country. And easily verified fact that you choose to ignore. Unfortunately you quite happily dismiss the fact that coal-fired power stations enjoy gross subsidies from taxpayers but you only have some issue with windfarms getting assistance via the RET? Another example of your double standards and failure to understand the real world. Nice try, but it doesn’t wash. I don’t expect you to believe me, as much as I do not agree with you. 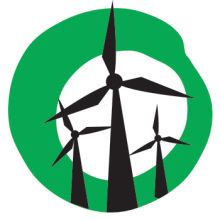 There maybe no problems at your wind farms, which is wrong, because I believe there are or have been some problems, but there are problems with many other wind farms, whether you agree or not. Of course there is development with renewables, as there should be, I said ‘wind power in it’s present form’, not renewables. Some old coal fired power stations have closed down, some of that is due to a loss of our manufacturing industry, due to high power prices, because of renewables. You also fail to mention that when wind power dies in the arse, because the wind stops blowing, they fire up gas turbine peak power plants, that produce power at a huge cost, which the consumer has to pay for. Maybe you could explain what these subsidies are, that the coal fired power stations receive, for the benefit of us uninformed people. Perhaps while you are at it, you could also explain to the rest of us, what the real world is. Yes there “were” some problems with the Toora wind farm when it was first commissioned, some faulty materials caused problems with some gearboxes but that was quickly remedied. Care to provide names and places of the windfarms which supposedly have problems? Care to name the problems? You always make claims but you never back them up with verifiable evidence. Where is your proof that renewables increase electricity prices when the AEMO and others have shown that renewables are responsible for barely 3% of overall price rises. There are plenty of other sources explaining why price rises have gone up but evidently you don’t want to know or make the effort to read easily available material – because it undermines your ideology? We’d all still be riding horse and cart if everybody adhered to your attitudes to new technology. Apologies, I forgot to answer your last question. The real world is where you are not. Perhaps you would care to explain to us uninformed people what the difference is between your ‘real world’ and where the rest of us live, we would love to know. Too easy. The real world is a place where opinions and actions are guided by facts, evidence and truth (i.e. science). Your imaginary world appears to be driven primarily by propaganda, lies, distortions and beliefs befitting Chicken Little. Why else would you parrot nonsense and believe ridiculous claims when you haven’t bothered to experience an operational windfarms yourself? Your tendency to dismiss overwhelming evidence contradicting your beliefs is illustrative of somebody who is is driven by ideology and fear rather than science and reason. It’s not too late to change or admit you might have it all wrong. Anybody can learn if they want to, even you. BLAIR do you own an electric car??????????????????? Hi Chris, I see you’re still moonlighting as a muppet. In answer to your question, no I don’t have an electric car yet but I do use an electric wheelchair everyday. It’s kind of close enough for my needs. Thank you Blair, I now know who lives in the real world. The following is a quote from another person who lives in the real world, in regards to the wind industry in the US. This could be applied here as well. Just a couple of other quotes for you to mull over. The first one came out of the AWEA conference in Las Vegas last week. Another one from the CEO of Hydro Tasmania. Welcome to the real world Blair. My pleasure TCW. It says a lot that you have to source your excuses from the US while studiously avoiding what really goes on here in Australia. Why is it hard for you to understand that the legislative system to promote renewables here at winning, the RET is very different to what occurs in the US? Oh I know, it doesn’t fit with your choice to remain ignorant. What’s inconsistent with what the Hydro Tasmania chief said? Let’s see if you can get this right. maybe you could do your bit for the planet Blair and get an electric car as you are a bit pot calling the kettle black .Wind turbines will save the planet in your eyes you bring up all the fossil fuel and coal garbage and here you are pulling in to pump it into the car hypocrite!!!!!!!!!!!! !Practise what what you preach Blair Donaldson. Chris, you’re starting to sound pathetic. I have never claimed wind turbines alone will serve all our energy needs. That’s a convenient myth you and your fellow denialists like to preach. Yes from time to time I mention fossil fuels because it’s applicable to the subject under discussion. You must have missed that connection? I can sleep nights knowing I’m doing my bit. It’s just a pity people like you don’t give a rats about anybody else but yourself. And you’re doing what exactly? Oh that’s right, nothing. It’s typical of cowards like yourself and TCW. All you do is snipe from the sidelines using a pseudonym – so lacking in conviction you can’t even post under your own name. Truly pathetic. You are a waste of time and effort. I’m not going to bother trying to inform you any further, you clearly prefer to stay ignorant, uninformed and childish. Take all the cheap shot you like, it will only show others how irrelevant you really are. I won’t bother responding any further. You’re just not worth it. Once again you contradict yourself Blair. The original article was about wind power generation in the US, hence my comments on the situation in the US. Regardless, the situation with the wind industry is similar world wide, the US is just bit slower working out that wind energy is nothing more than an expensive scam that produces very little electricity and has not reduced Co2 emissions, anywhere, however, even the US is waking up to that, you just seem to be a bit slower than everyone else to catch on, Blair. Why don’t you tell me what is inconsistent with what the Hydro Tasmania chief said, you couldn’t possibly expect a foolish, ignorant ‘chicken little’ person like me, living in an imaginary world, to be able to work something like that out. If you can’t work it out from the article, you not likely to believe anything I tell you. Why pretend you want to know when you clearly don’t. My response to Chris applies to you as well. Chip away all you like in future, I won’t be responding any further. You’re a sad case. you are doing your bit.With a petrol car Blair you are not doing anything apart from burning fuel.You are the one who is pathetic with your rants about saving the world when you do nothing yourself.Yet another pathetic do as i say not as i do.And you tell me im in denial .You need to stop sniffing that petrol Blair its not good for you or is it happy grass you types smoke. Of all the cases you are the saddest Blair .If you practised what you preach I could give you some credit but sorry you are a hypocrite. Ive told you what I do and its 100%more than you so you don’t have any moral high ground. Well Blair, this time I can say you are very wrong. I lead a very busy, fulfilling life and could not want for anymore. I also live in a quiet rural area where I can hear the sounds of nature and I and my Community will do all in our power to stop a bunch of a…….s putting up 197 wind turbines, which nobody wants. This is a highly productive agricultural area with several coastal communities close by. A wind farm, that is of no benefit to anyone, only the proponents, will impact on too many people. Seeing as you won’t be responding any more, as a parting gift, here is a little light reading for you, which will enlighten you to what is happening in the real world, not your blinkered world.